The other diners at called Bún Chả Hương Liên seem nonplussed by the leader of the free world eating noodles in their midst. 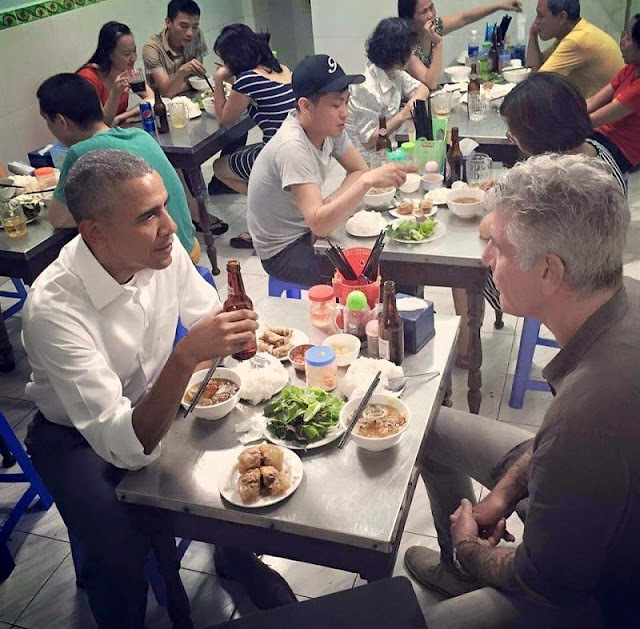 They were there for one reason above all: Bún chả. The traditional Vietnamese dish consists of grilled pork (chả) served in a broth or dipping sauce, along with rice noodles (bún) and fresh herbs. “Bún chả is one of the oldest favorites of north Vietnam cuisine,” says Michael Chuong, the chef at Elements, an Asian-fusion restaurant in Chapel Hill, North Carolina. “They grill pork in two styles,” he says. There's grilled fatty pork, and a preparation that's more like barbecued pulled pork. Chuong says there’s a version of bún chả that’s more popular in southern Vietnam called bún thịt nướng, which features less broth. 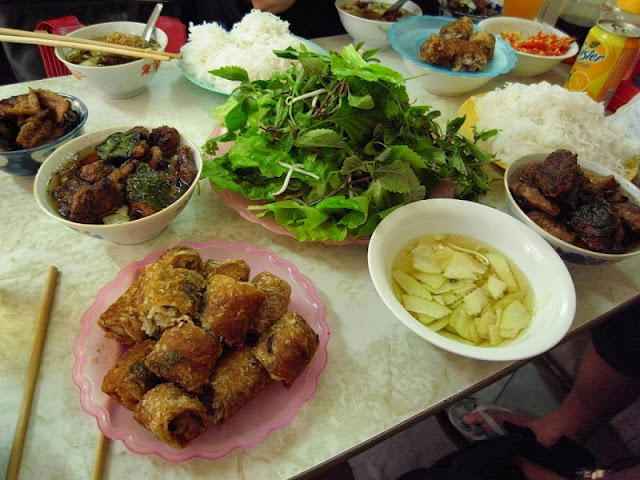 In Vietnam, people enjoy bún chả for breakfast, lunch or dinner. It’s a timeless recipe. Chef Chuong says that food has allowed him to hold onto his culture. If the president’s tour inspires you to give Vietnamese food a try, come and experience the actual steaming dishes.